Pups are SOLD. Next litter will be fall 2019. If you wish to be placed on the waiting list, let us know! 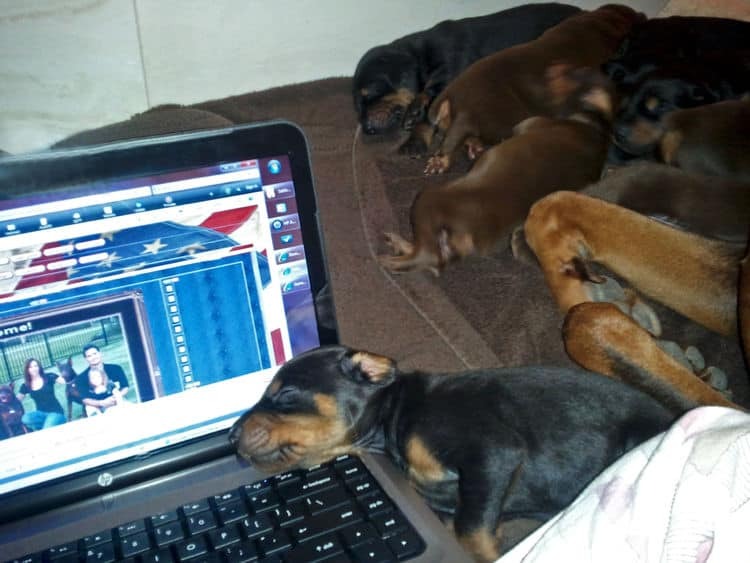 The Garretts Dobermans site contains lots of pictures from past litters. This is a site you might find yourself loving to waste time browsing. 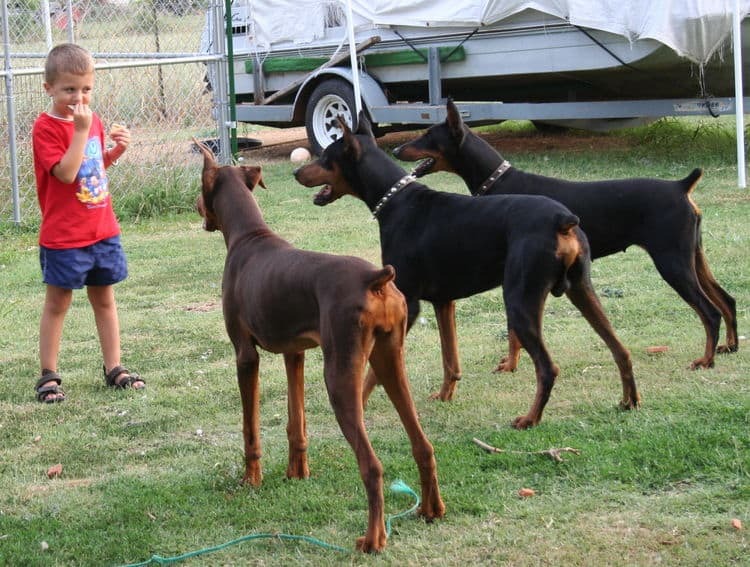 As breeders, we focus on raising Dobermans in a loving family environment. Pups brought up in a family setting from day 1 make better pets, rather family members. Our primary concern is raising pups who have received plenty of love, ready to be a solid part of your family. We are very hands-on with the pups. 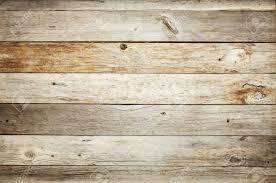 Please sit back for awhile and browse through the pages within this site. You will likely learn something about the breed, but most definitely, you will smile. Aggie got us hooked on Dobes! The site and our breeding practices all began with Aggie. Her wonderful nature with our children inspired us to educate people on Dobermans as well as produce awesome four legged family members. We hope you learn from the site and what owners share within it. The Garretts first Doberman was a well mannered black/rust female named Aggie. She taught us the beauty of the breed. She passed away in July of 2010 of old age. Aggie is the reason for this site and why we have continued on with this breed. From Aggie's final litter before retiring to pet status, we kept Scarlett, affectionately nicknamed "Smiley". Scarlett passed away November of 2013. Our third Doberman, Sable, was out of Scarlett's last litter, born in January of 2009. Sable has been our most well-rounded Doberman thus far -- appropriately protective, super affectionate with her primary owner while lovable to the rest of the family, and the dominate leader of our "pack" in a gentle yet commanding way. Our other three Dobermans give her full respect, thus her nickname "top dog". We obtained a blue/rust female from Ellie/Pyro's litter born July 26, 2009 -- Ella (Scarlett's granddaughter). Ella bonded with our daughter and has a very sweet nature. Most recently, we kept a pup out of Sable's 3rd and final litter. We named her Blue. Blue's personality has been the most unique of our kept Dobermans. High energy, but calms down as soon as we desire her to chill; super attentive to every owner in the family, Blue desperately seeks to please us. 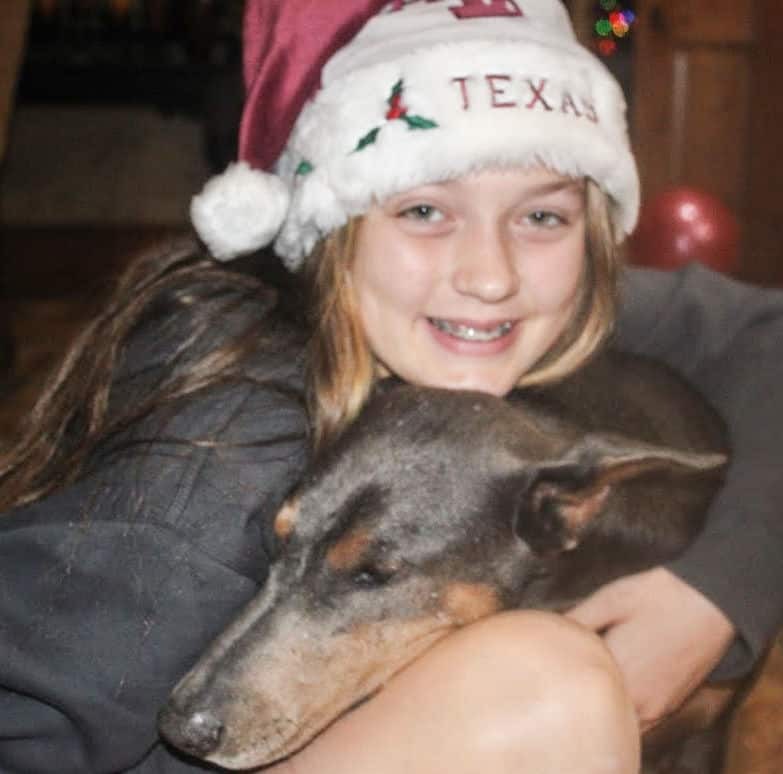 She was kept as our oldest child's Doberman buddy, however he is now a college kid. While he frequently comes home on the weekends, Blue finds herself bonded fairly equally to all members of the family. When he does come home, she can hardly contain her excitement! Blue was bred for the first time 9/1/2018. We will most likely keep a female from her litter. Last but not least, out of Ella's last litter, we kept a male named Buster. Buster was neutered when of age to do so. He is strictly our daughter's best buddy and one of the most gentle-natured Dobermans we have owned. We encourage you to spend some time on this site. More specifically, spend time reading letters sent in from owners of pups from our previous litters. The temperaments of our Dobermans are exceptional. We spend a lot of time handling them as pups. Q: When are puppies released to go into homes? A: When the pups are 8 weeks old, placement of the pups begins. Owners may pick up their pup from the litter's home site. Pup may also be shipped to major airport. Q: When may I first visit the pups? 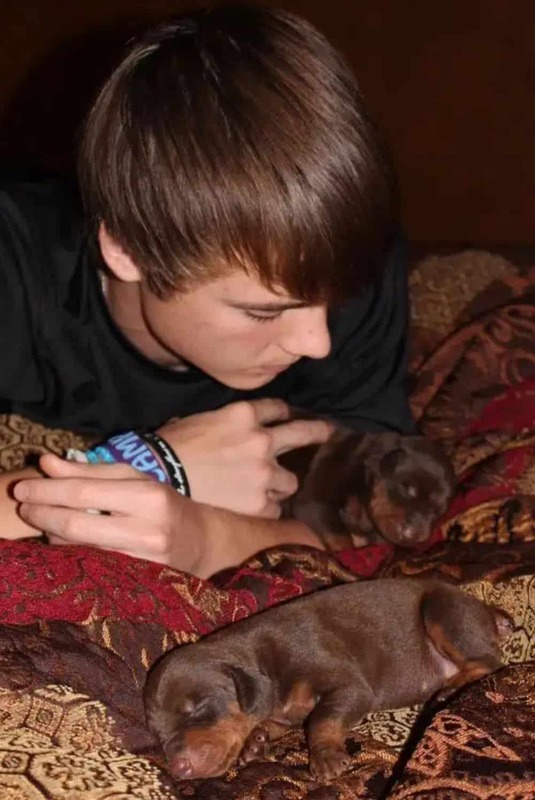 A: We allow potential owners to visit the pups at anytime they wish around 3-4 weeks of age asking that you do not bring another dog to meet the pup until 7 weeks old. Visit our SITE MAP to help better navigate this site. Pages puppy owners find especially helpful are Testimonials and Puppy Care as well as Dog Resources. 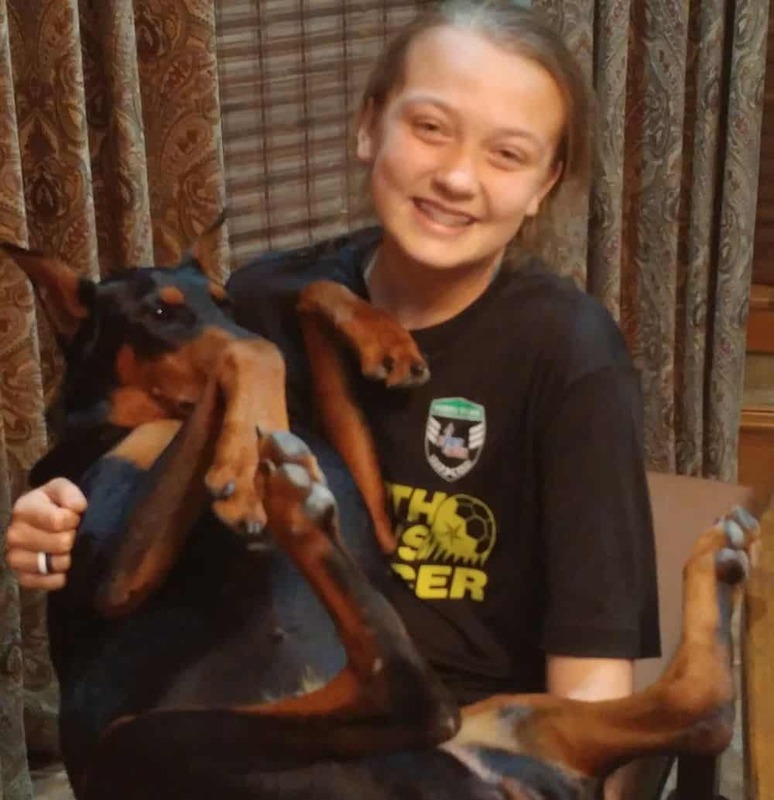 How much do you trust your Doberman around your child? 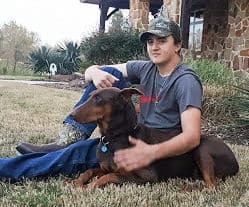 For those of you who own a Doberman and have children or close relatives that are around often enough to test your canine friend, please participate in this forum discussion regarding how much you trust your four-legged partner around the pint-sized people. Note: This Forum is set up as a Guestbook. 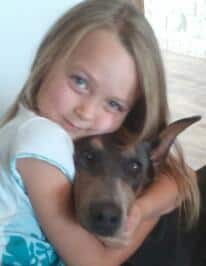 It is open for you to share awesome stories about Dobermans interacting with children! To add your story, click on "Sign Guestbook". 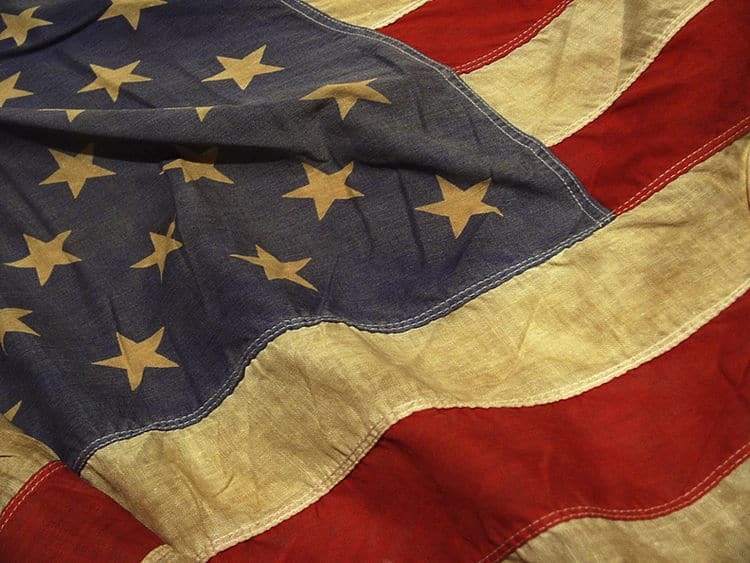 To read what others have shared, click on "View Guestbook". SPECIAL NOTICE: We do not claim to have show quality Dobermans. Most of our Dobes are too large at adult age to even be considered. a dog that is trustworthy around young children ..
while still maintaining the protector instinct. No other claims are made by us regarding our Dobermans. I was alerted to search for misuse of my photos after someone reported driving several hours to pick up an older Doberman (sold using photos of my site) only to find out there was no Doberman. I have tried asking OLX to remove ads falsely using my photos but they claim without a watermark, they cannot. COPYRIGHTS protect me! OLX response (which I have received several times from them on various ads I requested be removed) is an alarming reason not to remove ads. Sites like YouTube (which removed two pictures of mine used by someone else) are reputable and follow copyright rules. I would not trust any seller off OLX's site! There are plenty of reputable sites to search: NextDayPets.com, PuppyFind.com, QualityDog.com (to name a few). From my recent experience with trying to get ads removed using my photos to sell pups, I would recommend staying away from ALL classified sites not specifically focused on selling dogs. It is now obvious to me that OLX is simply interested in having ad listings (free or not) and does not care if the advertiser is misrepresenting. Last bit of advice, contact the advertising company/site and ask how they protect you, the buyer...how can you rest assured the advertiser actually owns the dog(s)/pup(s) displayed in the ad. A search box is displayed that has a Camera icon. Click on the camera icon. You are then given the option to paste the url of the photo in question OR upload a photo; then click "Search By Image". The search will list any site using that photo. Very handy tool Google has made available. I have found several pics owned by me via Google's Image Search. In fact, the most abused/misused pic I own is the one at the top of this page of Aggie and Scarlett. Beware! people have viewed this page.